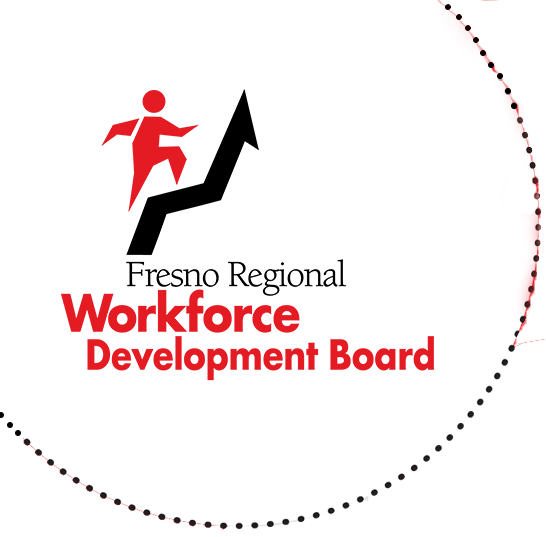 The Fresno Regional Workforce Development Board (FRWDB) takes very seriously the responsibility of serving as a steward of public funds and deploying federal, state and local resources into workforce development programs that will have the greatest impact on our region. Oversight and funding direction is provided by the FRWDB Executive Committee. Additionally, two councils and one committee report to the FRWDB and make program and funding recommendations: the Adult Council, Youth Council and the Business and Industry Committee. Our board and committee members are community leaders and include City and County elected officials, as well as representatives from business, organized labor, education, economic development, community organizations and other entities. Receive input and recommendations from the Adult Council, Youth Council, Business and Industry Committee, and Executive Committee. Members represent our entire region: businesses, organized labor, education, community based organizations, economic development, One-Stop partners, Board of Supervisors, City of Fresno and leaders/advocates for workforce development. Strengthen our partnership with all stakeholders to address the workforce needs of our region. Scott Miller, Owner/CEO, Gazebo Gardens, Inc.
As a Joint Powers Authority between the City of Fresno and the County of Fresno this board is a community partnership. Members include the FRWDB Chair and Vice Chair, one County Supervisor, one City Council member, one at-large member from Fresno City appointees, one at-large member from Fresno County appointees, and the appointed Chairs of the Adult Council, Youth Council, and Business and Industry Committee. In collaboration with the FRWDB, decides on funding decisions and programmatic priority. Determines workforce strategy, objectives and priorities based upon regional needs and impact. The Adult Council provides governance to WIOA-funded Adult Programs that includes system design, procurement and oversight of contracted providers of adult services and to ensure that the One-Stop system leverages and coordinates all available resources to focus on the needs of job seekers and employers. The Adult Council reports to the FRWDB. Support and provides oversight of all local and regional workforce investment initiatives. The Youth Council is the primary body addressing youth concerns under the WIOA that includes system design, procurement and oversight of contracted providers of youth services, and ensures that the system leverages, coordinates and integrates all available resources to effectively focus on the needs of youth in Fresno County. The Youth Council reports to the FRWDB. Utilize our “Academic Excellence” model to equip youth with the necessary tools to compete in the job market. Engage local employers committed to preparing our future workforce. Develop partnerships and leverage resources for programming that includes a career pathway strategy to improve youth career and academic readiness. The Business and Industry Committee (B&I) is the primary body addressing sector business issues and opportunities under the WIOA. This committee is responsible for engaging the Fresno business community to ensure that the system leverages, coordinates and integrates all available resources to effectively focus on the needs of businesses in Fresno County. The B&I reports to the FRWDB. Partner with sector businesses to identify their needs and develop industry/sector strategies that address future workforce shortages. Facilitate timely and relevant dialogue with industry, FRWDB staff, education and stakeholders to assess business trends, threats and opportunities in the local economy and how to best position our services to provide solutions. Develop partnerships and leverage resources for programs that improve job growth, upskilling, business assistance and avert layoffs.